Radon gas is a colorless, odorless gas that most people associate with the risk of lung cancer. It does have its uses, though they are limited. Radon belongs to a group of elements called the noble or inert gases. These gases generally do not react with other elements to form complex molecules, which limits their usefulness when it comes to material development. However, Radon emits alpha radiation, making it useful for a few purposes. Doctors sometimes treat cancer by radiating it. High doses of radiation kill cells, including cancer cells. 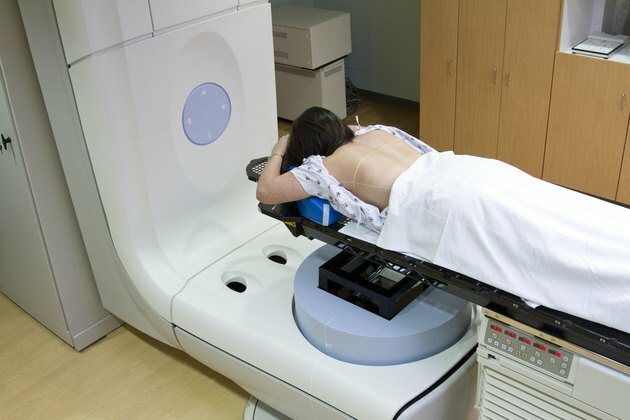 One problem with radiation therapy is that it often kills healthy tissue alongside cancerous tissue. Because of that, doctors have looked for ways to deliver doses of radiation locally to tumors to avoid radiating nearby healthy tissue. One way they do that is with radon seeds. A radon seed is a small tube of radon gas that doctors surgically implant into the middle of a tumor. The radiation energy from the radon focuses specifically on the cancerous cells, killing them. On occasion, radon seeds have caused secondary tumors to develop. Though it is considered a heath hazard in the United States, radon gas is frequently used as a therapeutic treatment for arthritis in many European countries. People with various forms of arthritis go to radon spas and clinics to deliberately expose themselves to radon. Those without the money to buy radon treatment often go to old mines with high concentrations of radon in the air. A 2000 study by Dr. A. Frank and colleagues from Maximillians University in Munich, Germany showed that radon spa treatments for rheumatoid arthritis yielded greater long-term pain relief than similar treatments without radon. Because the Environmental Protection Agency considers radon a health risk, it is no longer used in consumer products. Such was not always the case. Radon gas is produced via the radioactive decay of a slightly heavier element called radium that is present in small amounts in most soils and rocks. Decades ago, radium salts were mixed into paints to make them glow in the dark. When the salts decayed, radon gas would be trapped in glass enclosures surrounding the painted areas. The enclosed areas would then glow in the dark. A radon clock is one example of such a product. Pub Med: Long-term efficacy of radon spa therapy in rheumatoid arthritis--a randomized, sham-controlled study and follow-up. What Do Argireline & Matrixyl Do for Skin?